A big debate is brewing over what time the school day should start, especially for middle and high school students. This debate pits the importance of sleep for the health and academic success of our children against the complexity of running a school district. What Does the Research Say about Sleep for Kids? According to the American Academy of Pediatrics, the biological sleep rhythms of adolescents begin to shift up to two hours later at the start of puberty. 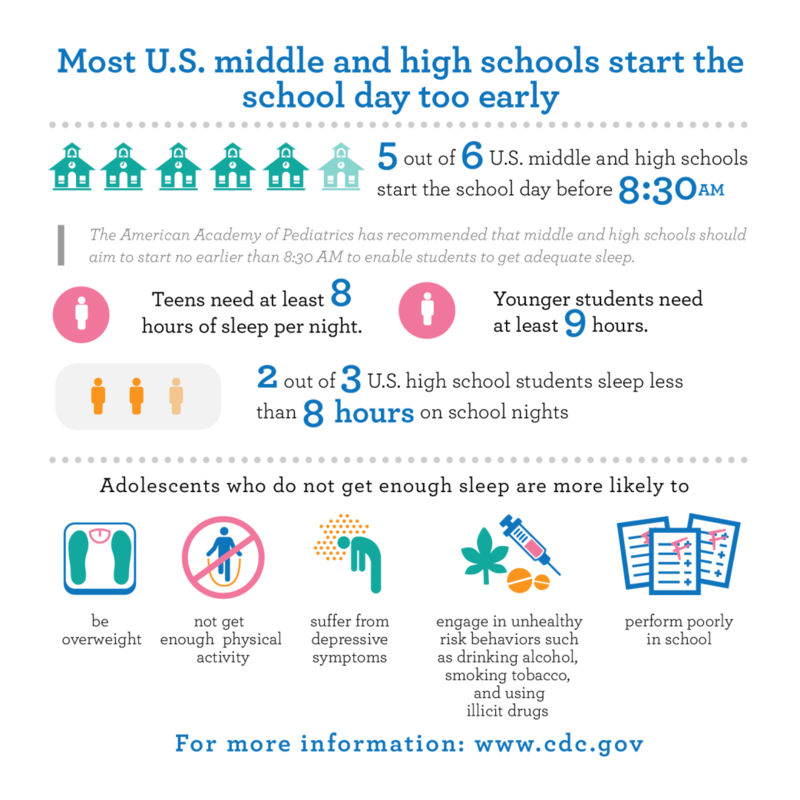 The Academy urges schools to adopt start times that allow students to achieve optimal levels of sleep, about 8.5 to 9.5 hours. Not engage in daily physical activity. Engage in unhealthy risk behaviors such as drinking, smoking tobacco, and using illicit drugs. Students who get about 8.5-9.5 hours of sleep each night can improve their health, safety, academic performance, and quality of life." Would More Sleep Increase Graduation Rates? Probably. A recent study of changes in start times in 29 high schools involving about 30,000 students found that "attendance and graduation rates significantly improved in schools with delayed start times of 8:30 am or later." The authors also suggested that later start times might be "a mechanism for closing the achievement gap due to improved graduation rates". Why isn't this a "no brainer" for schools? Time to Shock the Clock? In California, each school district decides what time school starts. A fourteen-word bill pending in the California state senate proposes to change that. It reads: The schoolday for middle schools and high schools shall begin no earlier than 8:30 a.m. With the introduction of this bill, SB 328, California Senator Anthony Portantino has accelerated the discussion. According to the Senator, "The vast majority of middle and high schools in California begin at times that are contrary to the sleep-health-needs and developmental norms of adolescents." What do you think about starting middle and high school at 8:30? Should the state respond to the growing research on sleep deprivation and elevate it as a high priority health issue, as it did with rules for healthy foods in all schools? Or should the decision about when middle and high schools start the day be left to local school districts?